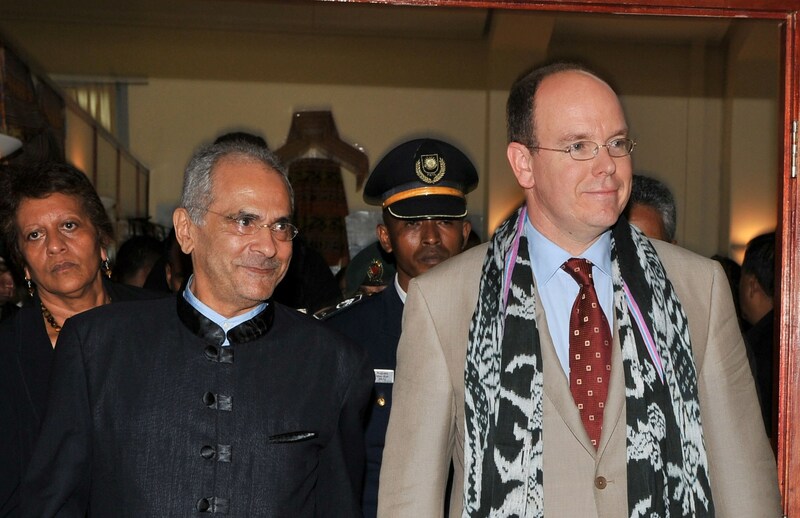 On Friday 18 April, the Ruling Prince went to East Timor, where a reception was organized in His honour by HE José Ramos Horta, President of the Republic of Timor-Leste. Following the cowardly assault against the President, HSH the Prince wished for him ?to find again all the energy to accomplish his mission? and asked him to ?keep his faith in international solidarity?. In the afternoon, HSH Prince Albert II went to the University of Dili for an event to promote Peace and Sport, organized at the instigation of the ?Peace and Sport? Association. In Timor-Leste, with the support of the Prime Minister Xanana Gusmão, ?Peace and Sport? works in close cooperation with the Secretariat of State for Youth and Sport and the National Olympic Committee to help the Government define a sustainable policy for Sport and promote education and access to sports for all. During His visit to the University of Dili, HSH the Prince was able to meet young Timorese sportspersons and NGOs partnering with ?Peace and Sport?, as well as the presidents of the different national sports federations. On this occasion, the Ruling Prince recalled that ?sport, which enables men and women to communicate, can be placed durably in the service of Peace? and expressed His support to the Government in its will to ?develop a forward-looking policy for young people?. On Saturday 19 April, the Ruling Prince inaugurated a maternity clinic in Same, recalling with emotion that this facility ?bears the name of the person who launched this initiative, my Father, Prince Rainier.? He then emphasized that ?this realization financed by the Monegasque Red Cross in partnership with the Government of Timor-Leste and the Foundation for Post Conflict Development is the expression of Monaco?s will to be involved in humanitarian actions.? At the Prince?s request, funds dedicated to development will reach 0.7% of gross national income by 2015. The Ruling Prince then went to the Governor?s Palace to meet Prime Minister Kay Rala Xanana Gusmão. 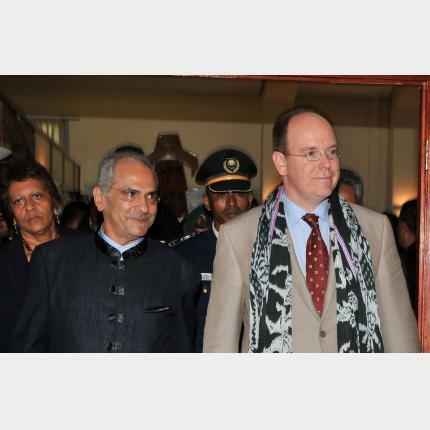 After this meeting, HSH Prince Albert II announced that ?diplomatic relations will soon be established between Timor-Leste and Monaco,? emphasizing that the Principality ?will strive to satisfy the population?s urgent needs in educational, social and medical areas as in those concerning environmental protection.? HSH Prince Albert II then inaugurated a Youth Centre in the Bekora District. He stated that in a country where ?half the population is made up of young people, this place is a strong symbol: it is the future of Timor-Leste.? The Ruling Prince then went to Sarawak where He participated in a dinner hosted by the Prime Minister, Yang Amat Berhormat Pehin Sri Haji Abdul Taib Mahmud. He stressed that ?our two countries, despite the great geographical distance between them, have many points in common,? in particular ?our commitment to preserve the Planet.? On Sunday 20 April and in the morning of Monday 21 April, the Ruling Prince visited Gunung Mulu National Park where He discovered the amazing wealth of flora and fauna as well as exceptional natural caves.